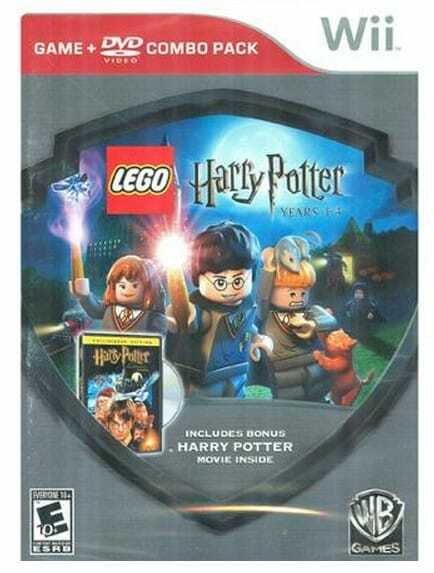 The Lego Harry Potter 1-4 Dvd (Wii) is on sale for $7.99 at Walmart.com right now (reg $19.99). Great price forthis combo pack that includes a video game AND movie in one. Lego Harry Potter: Years 1-4 transports players to iconic environments from the Harry Potter books and films and introduces a fun, new way of experiencing the magic of Harry Potter through hilarious cutscenes and new-to-Lego gameplay elements such as magical building and spell-casting. Players have the freedom to select from 170 playable characters including Harry Potter, Ron Weasley and Hermione Granger, as well as many other fan favorites.